International Award-Winning Author Seconde Nimenya Presents a Leadership Roadmap to Embracing Change. How do you discover who you are and honor your true self when faced with adversity? How do you use it to evolve and achieve your life purpose? In her memoir, Evolving Through Adversity, international award-winning author Seconde Nimenya answers the above questions, and demonstrates that the best way to get through any adversity is to go through it, and learn from it. In this honest and soul-searching book, Seconde recounts her life growing up in her native country of Burundi in Central Africa, and her journey to North America; including fighting to obtain an education, learning hard lessons, and becoming a voice for others. This is a story of a woman’s survival through much adversity, and who finds incredible potential within herself. 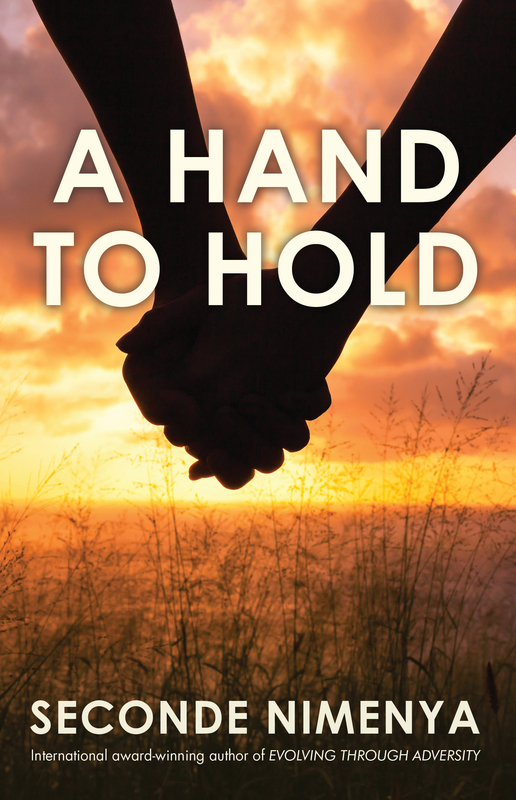 The book is filled with lessons of perseverance and hope; overcoming, and finding peace from within. After reading this book, you will be inspired to achieve first your own personal growth, and then empower those in your community and in your world. You will learn how you can rise above adversity, discover your passion, honor your true self, and live the life purpose you were created for. Very nice book to read. It is an inspiring book that Seconde found a touching way to put together from a life journey common to many students in different countries, especially Burundi. You cannot put it down, you start to read it and it drags you through the intricacies until you finish it. 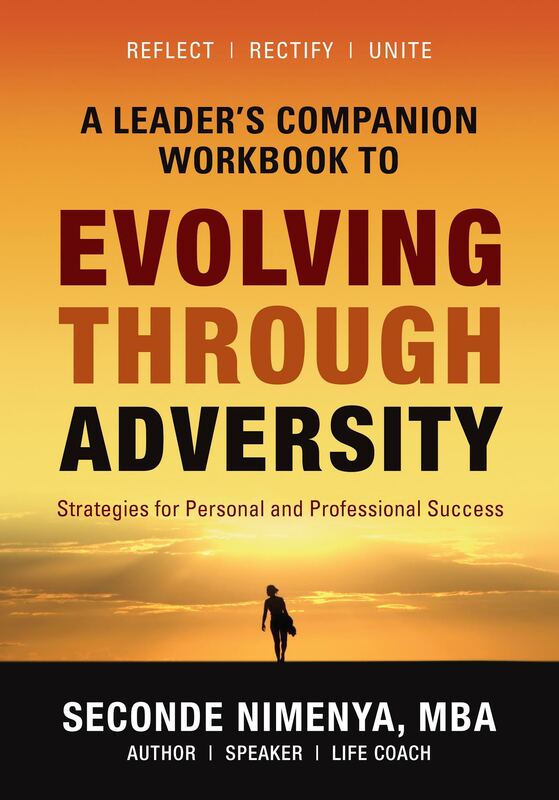 When I started reading Evolving Through Adversity, I could not put the book down. The simple yet outstanding narrative style makes it easy to follow Seconde through her amazing journey. You get to understand and appreciate how far some people (great people) have come. Evolving Through Adversity makes you wonder how some times in the Western wonderland, we take things for granted. I do hope that this book will one day lead to a blockbuster movie! And Seconde or one of her daughters will star in it. Highly recommended! I finished “Evolving Through Adversity”. I am regretting why I had not started it earlier! Authentic and inspiring read. The author takes us with her through the journey of life with all the tribulations and adversity it can be filled with before finally discovering our true calling and our true self. I enjoyed the book every second! I Couldn’t leave it once I started it! Looking forward to getting your new book. Seconde does a beautiful job illustrating the complexities surrounding cross-continental migration, the immigrant experience, and identity formation through her life full of challenges and joy. I really appreciated each chapter, which highlighted a different aspect of her journey. Her strength and resiliency really helped me reflect on my own life and appreciate the obstacles that I continue to face in life as opportunities for growth. An incredibly reflective book about self-love and discovery! I really appreciated the chapter about honoring the self. Seldom are we advised to search within, and honor what we find. I absolutely fell in love with the moment where she realized that resisting unhappiness was not helpful. After reading such a detailed narrative, I am convinced that trusting the process is the key to true peace.Thank you Seconde for such a great read! It was a great pleasure to read Seconde’s book. I especially enjoyed reading about her growing up in Burundi. I could also relate to the struggle of balancing work and family, and of moving and living in a foreign country (Norway and England for me). I love this book. It is a biography that shows how a person can grow during a life time and inspires us not to be afraid of hard times. Hard times go, and success comes. Thank you Seconde! I loved the inspirational way Seconde told her story and at the same time involved the reader to reflect. In this book full of highs and lows of the author’s life, Seconde Nimenya brings us on a journey through childhood, early adulthood, marriage, immigration and culture shock. On the way, we (along with her) are confronted with hardships of life and the realities of two worlds apart, not only in terms of distance, but also in culture, lifestyle and times. In the end, we really get to understand what it means to Evolve Through Adversity. Seconde Nimenya has lived a fascinating multicultural life on two continents, and now she shares her story in her part-memoir, part self-help book Evolving Through Adversity. She even reveals in the book that she once had an addiction to self-help books, so I’m not surprised she wrote one, although it is different than any I’ve ever read before, because her experiences differ so much from most American self-help authors. Readers will find themselves fascinated by all the cultural differences, as well as be grateful for the blessings in their own lives. Evolving Through Adversity also details what it was like for Seconde to be an immigrant to North America. Because Seconde made education a priority in her life, she not only was able to attend a university in Burundi, but after she immigrated first to Canada and later, moved to the United States, she earned her MBA. Once in North America, Seconde had to deal with culture shock as well as realizations about how her own culture’s expectations were hindering her. Ultimately, Seconde became a proponent for immigrants, helping them in their integration journeys, while celebrating their cultures of origin. She does achieve that freedom in a truly tear-jerking way. 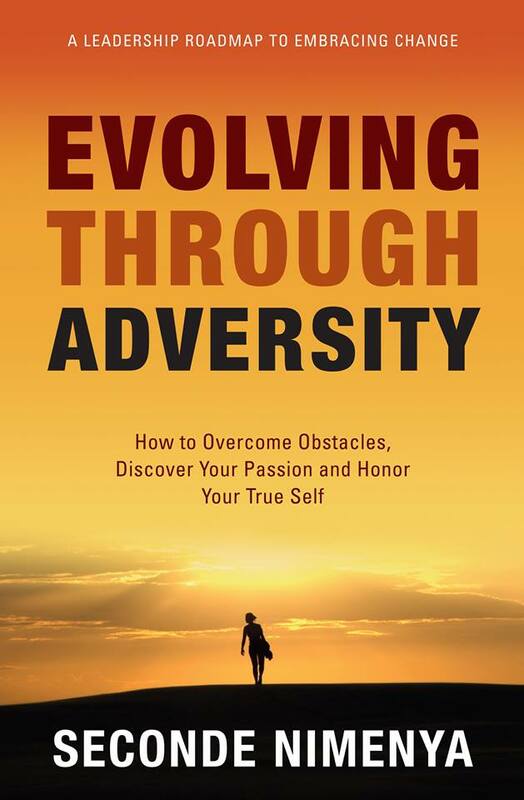 I love that this book’s title is Evolving Through Adversity because while other books have been written about adversity, they are usually about overcoming or defeating it. I think “evolving” is a more powerful and truthful word because we don’t just defeat adversity; we really merge with it, collide with it, and then it changes us, allowing our souls to evolve, and more than anything, the evolution of our souls should be our purpose on this Earth. Seconde succeeds in that goal, creating her own little heaven on Earth amid all the heartache, war, and adventures she experienced. I hope someday to find out what is yet in store for this remarkable woman on her evolving and inspiring journey.